Our retired Boxers will not be adopted out when they have retired from raising pups. They remain family members and live out their days with our families. Their daughters, and sons continue carry on the Boxers Of Palo Mesa legacy for them. We meet or exceed all AKC breeder standards, and pass AKC inspection with high approval rating. Our dogs are our pets our pups are family raised, we ARE NOT a puppy mill and our dogs are not kept in kennels! We live on an acre and our dogs are all indoor outdoor. I have only a few quality litters a year and look to produce quality not quantity. Our pups are partially crate trained and partially or fully paper trained by 8 weeks. The pups are socialized with children and a cat (in my home) to insure they are well rounded for introduction into homes with both. We put a lot of time and love into our pups. We also focus highly on water play with litters born is the Spring & Summer, weather permitting. Our puppy's are sold with Limited AKC registration. They also will have a mandatory spay and neuter contract to prevent unwise breeding practices and to insure a high quality life for all of my Boxers and prevent future generations from misuse. We provide family homes with high quality pets, therapy dogs, and Service animal prospects that are bred for great temperament and healthy hearts. Our Boxers have all passed their cardio testing with very high marks @ (0 PVC's) with no signs of Cardiomyopathy! 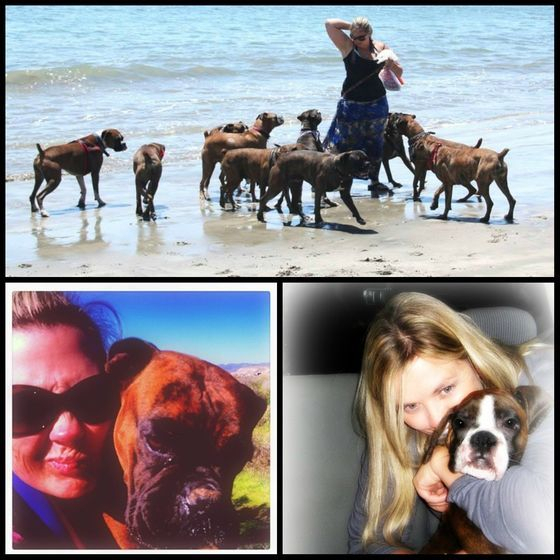 Cardiomyopathy is one of the top killers of the Boxer breed! We have added in the newly available ARVC DNA testing to our program, and also DNA test to avoid Myelopathy our Boxers. The puppies come with a 1 year congenital health guarantee. They are also fitted with a microchip, to insure that they are never lost without proper ID tags. I started out working for a reputable Airedale show breeder throughout my youth starting at the age of 12. I was very fortunate to have her as a mentor. She was dedicated to her dogs and taught me so much about the proper care of the dogs and puppies. I absolutely fell in love with the Boxer breed and after getting Hailey our first Boxer, realized that there was no other breed for me! I then began learning all I could about the breed inside and out and deciding what direction I wanted to go with my program. I realized that for multiple reasons wanted to build my foundation on a mixture of quality American lines with the Imported lines. Since then I have built a diverse breeding program that promotes mellow temperament, genetically diverse healthy Boxers and the physicality that I believe this breed started with and is truly meant to have. You will find bloodlines in my dogs from Germany, The Netherlands, Russia and The UK! I have traveled as far as Barrie Ontario Canada to introduce the absolute best to my breeding program possible. 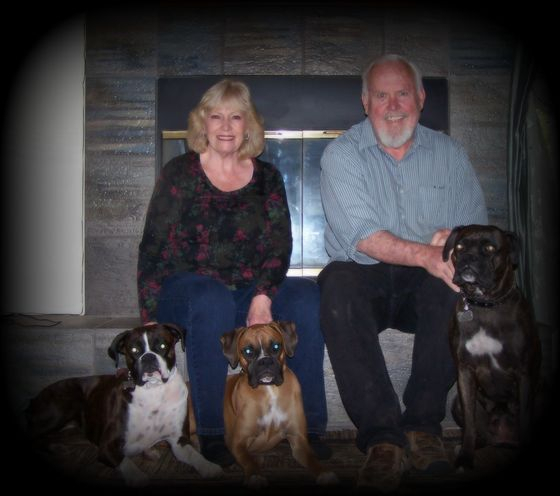 Tanoak Boxers owned by Helga & Dieter Leidel in Canada have been producing the cream of the crop for over 35 years. They have done an amazing job at producing what I see as the optimum Boxer. I have been very fortunate to have use of their stud dogs as well as to have added a new Tanoak girl to the Boxers Of Palo Mesa family! Please contact me if you have any other questions about Boxers in general or our breeding practices. I have really learned a lot from my mentors and I am always looking at bettering my breeding program. I have been raising Boxers for over 12 years. I started my program on the Central Coast of California before moving with my pack to Northern Idaho. I am not a show breeder. I do have friends that show and a stud in my program that is a AKC Champion, but I have seen all the politics involved and would rather enjoy life with my dogs, friends and family, keeping to myself, and focusing on my personal program aspirations. My goal is to place as many of my puppies into homes to work as service & therapy dogs as possible. I feel that the Boxer is very well suited for this job, my pups have proven time, and time again to be ideal for these positions. The puppies that I have placed as therapy & Service dogs are all truly thriving at their position! Myself & my husband are a devoted duo. We have our Boxer shangri la in the mountains of Kernville California. We are both retired, and planned in advance to spend our retirement years surrounded by the love of our Boxers. Having shown, and bred whippets for years, another breed that is dear to our hearts we were completely taken by surprise with how deeply and completely we fell for the Boxer breed! We knew from that moment on that we wanted to play a part in promoting great health and temperament with this wonderful breed as hobby breeders. 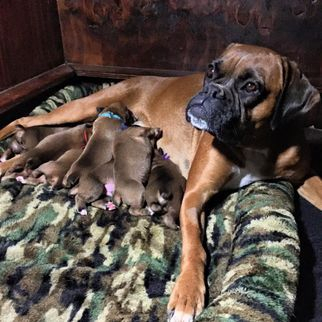 On our journey of establishing our foundation we searched for breeders that had high standards of care, and were dedicated to the well being of their Boxers for life... it was then that we found Lina, and could see that her philosophy was in line with our own. A friendship began that through the years that blossomed into a partnership. We are very happy to be a part of the Boxers Of Palo Mesa program, and are thrilled to bring healthy, beautiful, and well rounded puppies from our family to yours!